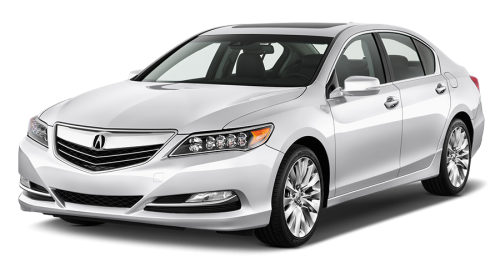 Acura RL PDF Workshop and Repair manuals, Wiring Diagrams, Spare Parts Catalogue, Fault codes free download! Acura RL is a full-size executive sedan produced by the Japanese company Acura from 1996 to 2012 in two generations. RL replaced the Acura Legend in the model line, and in 2013 it was replaced by the Acura RLX. In Japan, all three models were sold as Honda Legend. The name RL stands for “refined luxury” (English Refined Luxury). The first generation Acura RL was a significantly revised version of the third generation Honda Legend, and was first introduced in the North American market in 1996, replacing the second generation Acura Legend. The second generation Acura RL, in turn, was based on the fourth generation Honda Legend. These cars appeared on the North American market in September 2004. Subsequently, in the 2009 model year the car received significant facelift, and an update in 2011. The third generation of the car was introduced in 2013 as the Acura RLX. In 1996, Acura introduced the Acura 3.5RL model, which also had the internal designation “KA9“. Acura removed the Legend name for its models after a market survey, which showed that consumers are familiar with Acura products, and so it was not necessary to associate the model names with Honda. The car received a longitudinally installed V6 configuration engine, which distinguished it from most front-wheel drive cars in which the engine was installed transversely. This arrangement has made it possible to reduce the radius of the turn and to facilitate maneuverability in the city, and also to obtain a weight distribution between the front and rear axles 56/44. At the end of 1998, the car underwent facelift, with integrated fog lights, upgraded bumpers and a hood, and airbags for the driver and front passenger also appeared. The suspension became stiffer, new alloy wheels became available. In 1999, the salon was renewed. In particular, a large screen appeared for the navigation system, maps to which were viewed through DVDs. In 2001, a sport-tuned suspension and a forced engine became available, the power of which was increased to 225 liters. from. (168 kW) and a torque of 313 Nm. At the same time, additional noise insulation was added to the engine compartment. In 2002, optics was renewed, the design of alloy wheels was replaced. The 2004 model was the first serial sedan with satellite radio in the base configuration. The engine that was installed between 1996 and 2004 was the last in the Acura line, not using a system with variable valve timing VTEC. This 3.5-liter V6 engine, called the C35A, was the last in the Honda C series used on Honda and Acura vehicles. It was replaced by a newer Honda V engine configuration V6. Also, in 2004 the model ceased to use the numerical designation of the engine’s volume in the name. The car in the new generation, which received the internal designation “KB1”, appeared in late 2004 as the 2005 model year. Despite the fact that the V8 engine did not appear under the hood, the car received a sophisticated all-wheel-drive system Acura, called the “super-controlled all-wheel drive system” (SH-AWD). It works with the active differential of the rear axle and regulates tractive effort to improve the handling of the car. This system is similar to the “ATTS”, which appeared in 1997 on the Honda Prelude SH. For 2004, the SH-AWD was the first full-drive system to distribute power not only between the axles, but also between the rear wheels, using a technology called vectorization of torque. The car can direct up to 70% of the torque to the rear wheels, while 100% of them can be turned to one of the wheels. In combination with a specially designed planetary gear that can increase the speed of the rear wheel drive up to 5% in comparison with the front ones, the increased torque also increases the efficiency of the steering. This process can be compared to the control of an ordinary rowing boat: if you turn on an external paddle in rowing, it will lead to a quick turn with the minimum understeer characteristic for vehicles with a heavy front end. In the second generation, RL uses the newer J-series engine with 3.5 liters of SOHC VTEC, which produces 300 liters. from. (224 kW, later lowered to 290 hp (220 kW) due to new SAE testing procedures). To add a more sporty character to the car, the Drive-by-Wire servo drive and a five-speed sequential automatic gearbox with shift paddles were used. For the first time for RL, aluminum four-piston front brake calipers were used on 12.6-inch cast iron ventilated front discs. These calipers, taken from racing cars, are extremely tough. Behind, 12.2-inch cast-iron ventilated discs work with single-piston aluminum brake calipers. The car was equipped with unique five-spoke 17-inch alloy wheels and all-season tires Michelin Pilot HX MXM 4 245/50-R-17 98V. Compared to the first generation, these wheels are one inch larger in diameter, and the tires are 20 mm wider. On the 2005 model, a keyless access system appeared, allowing the driver to block the car doors by touching the door handle, without using the key directly or a remote control. The audio system in the cabin included ten speakers from Bose. Noise Reduction Technology Bose AudioPilot analyzes background noise and increases the sound signal. Satellite radio, with integrated control technology via Bluetooth, has the ability to recognize voice with more than 560 voice commands for controlling the navigation system and display, wireless phone, audio system, heating and ventilation. Heating and air conditioning systems are connected to a light sensor and GPS positioning, so the temperature in the cabin remains constant in any situation. Based on the position of the sun and the orientation of the car, the system can automatically supply additional cooling when driving in the sun and vice versa. Among other new RL options, we can note an active head lighting system that directs the luminous flux with the steering wheel. LEDs (LED) replaced the traditional lamps at the back and on the turn indicators built into the side mirror casings, as well as in the interior lighting. Also in the 2005 model were used atypical for its price category materials. Among them, an aluminum hood, front fenders, trunk lid and frame, front and rear subframes, suspension levers. Details of magnesium were used in the intake manifold. This model RL had a very low drag coefficient of 0.29.